La Subida is one of ‘my don’t’ miss spots in Northern Italy. Located in the hills of Cormòns, in the heart of the Friulian Collio, La Subida captures so much of what makes the Collio such an interesting and intriguing region. The intersection of Austro-Hungarian, Slovenian and Italian cultures provides the inspiration for a rustic country setting where guests will find the essence of the Friulian table. Josko and Loredana Sirk’s seasonal menu focuses on the very best local ingredients, prepared simply and with great care. The wine list features the wines of Josko Sirk’s winemaker friends. 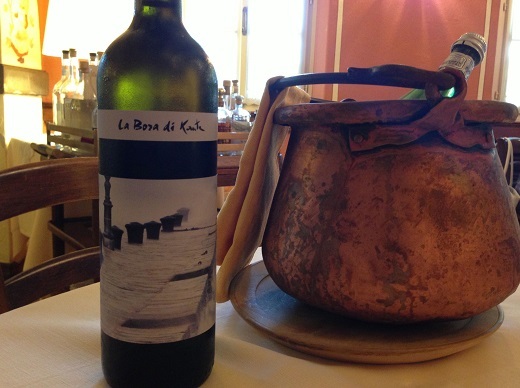 Selections from Borgo del Tiglio, Edi Kante, La Castellada and Josko Gravner are among the many highlights. Lunch starts with frico, a deliciously salty, crispy Montasio wafer that begs for a great glass of wine. Edi Kante’s 2005 Chardonnay Selezione La Bora di Kante is stellar. Relatively rich and textured in style for Kante, the 2005 wraps around the palate with gorgeous depth and pliancy. The 2005 is a little more voluptuous and less energetic than the 2001 was at a similar stage, but it is nevertheless a more than worthy follow up to that superb wine. As always, Kante’s Chardonnay is first and foremost a wine of the Carso. The 2005 is quite young and its best days are still ahead, something I have learned over many years of tasting aged whites from this reference-point winery. 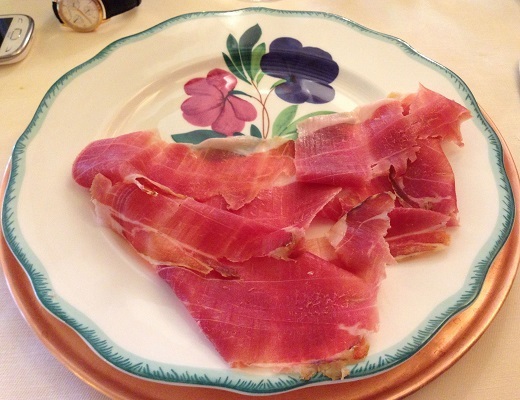 The D’Osvaldo family has been making their famous, lightly smoked prosciutto in Cormòns for several generations. I rarely miss a chance to order this delicate, flavorful ham, as it is truly special, particularly in our fast-paced world where artisan traditions are increasingly at risk of being forgotten. 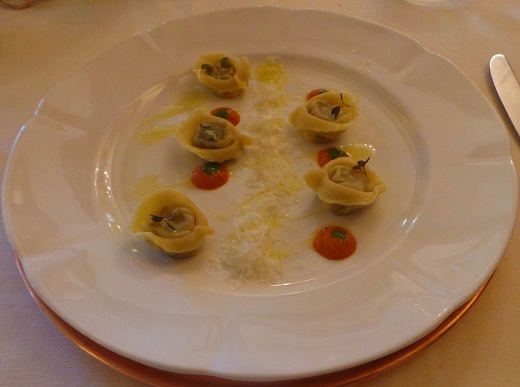 A fabulous pasta course, the tortelli filled with squash blossoms and porcini mushrooms are sublime. It is a perfect dish where all the elements come together with impeccable grace. 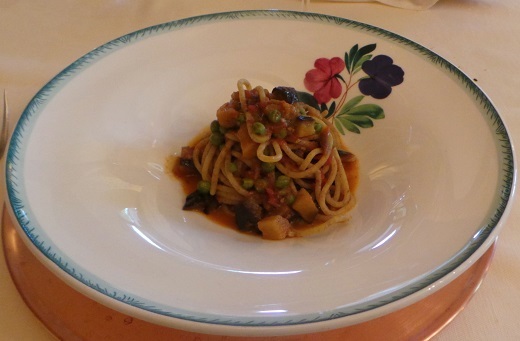 The whole-wheat vermicelli with anchovies is much richer, with intense flavors and textures that could easily handle a wide range of red wines. La Subida’s rabbit loin with aromatic herbs and roasted potato turns out to be an excellent and delicious choice for a very warm summer day. The desserts are excellent at La Subida, but the pre-dessert and cookies served with coffee are more than enough for me. 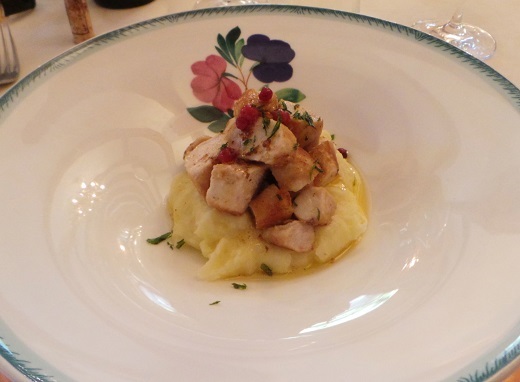 Readers visiting Friuli should make a point of enjoying a meal or two at La Subida. In the warmer months the outdoor seating adds to the country ambience, while the colder months are perfect for indulging in some of the richer dishes La Subida is famous for, especially the braised pork shank.